Paying homage to traditional New York City skyscrapers constructed by Mohawk ironworkers. 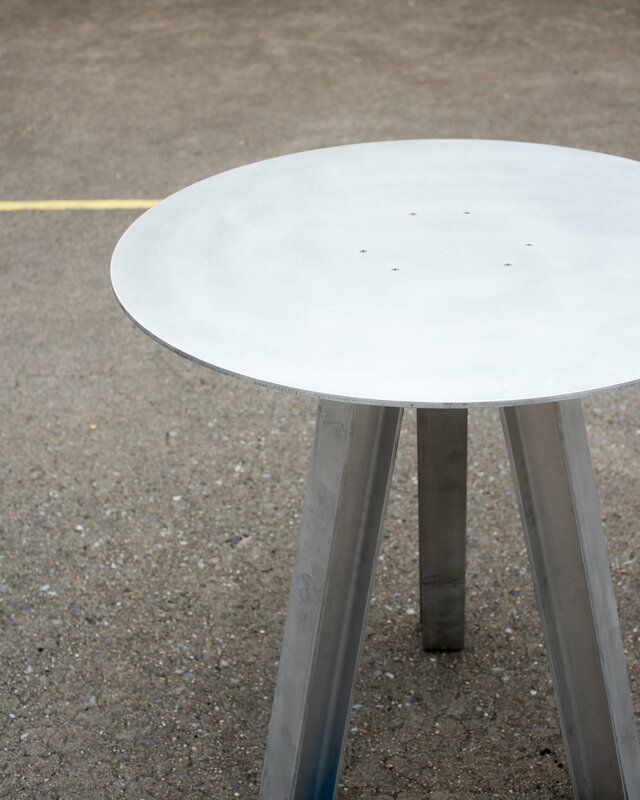 13 Table is designed to be quickly assembled with ease. Constructed from a 1/4” aluminum plate cut by water jet and three 6061 aluminum I-beams, utility and beauty merge with ease.